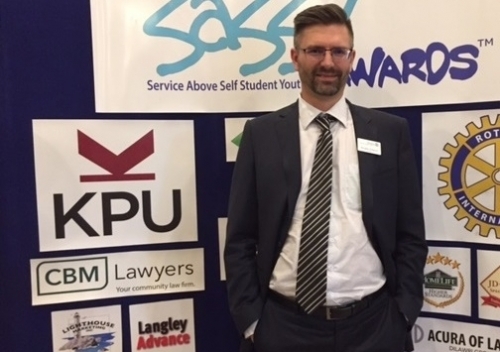 CBM Lawyers was proud to be a sponsor of the SASSY Awards held in Fort Langley at the Chief Sepass Theatre on April 27, 2017. The SASSY Awards stands for “Service Above Self Student Youth” and is a special event hosted by the Rotary Clubs of Langley to recognize and honour youth and young adults ages 15 — 21 living in Langley who exemplify to the highest degree a selfless commitment to the welfare of others and giving back to the community. This was the second year for the event in Langley and CBM Lawyers looks forward to a long and continuing relationship with this worthy organization. Pictured is Partner, Doug Simpson, in attendance at the show.